Bed bug infestations are on the rise, not only in the US, but all around the planet. As the infestation of these blood-sucking insects continue to rise in the last five years, renters and homeowners alike want to know how they can know if they have a problem with bed bugs. Determining what exactly to search for and what to do if you find enough proof of bed bugs implies the variation between a short or prolonged duration of pest treatments. You may have heard a number of reports in the news regarding bed bugs infestations in both low-income and senior housing. But are you aware that anyone can actually find themselves with bed bugs in their own homes? These blood-sucking insects can gain entry into your homes either by hitch-hiking with you from a public space such as coffee shop sofas or a hotel or if you currently live in a multi-family housing through the electrical wiring or the baseboards. 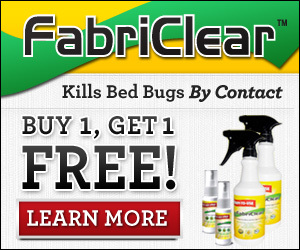 You can get more detail information on how bedbugs look like and the ways to deal with them at Medicinenet.com. Bed bugs nourish only with blood, more preferably with human blood. They eat on blood while you are at rest or during sleep. Bed bugs can consume up to 3 times their own weight in blood and this will usually take for about 3 to 15 minutes to feed. You won’t even feel anything when they bite since they will be injecting an anesthetic agent into your skin. In addition to this, studies done by entomologists have shown that only about 30 percent of people with bed bugs actually respond to bites. This would only mean that you can have these blood-sucking insects at home for months and not detect even one until your bedbug infestation has grown to hundred of bugs and eggs. By now, you could have been totally grossed out knowing this fact and starting to wonder- how do you know if you have bed bugs? If you are getting mysterious bite marks, have bites that appear during the middle of the day out of nowhere or you have bite marks in a 2 or 3 line patters, this could be a sign. Unexplainable presence of itchy elevated bites or welts may be an indication of bed bugs, however entomologists and dermatologists together agree that you cannot specifically tell bed bugs by the bites. So how do you know if you have bed bugs? Small unexplained tiny spots of blood on your pillowcase or sheet or small black marker spots may be indications of bed bug remnants or bugs that were crushed while you were at sleep. All of these may be indications of the presence of bed bugs, although experts in the field of pest control agree that you can only determine the presence of bed bugs in your house by finding dead or alive bed bugs or their eggs. Markings, blood spots or bites are not perceived as a positive identification. How do you know if you have bed bugs at home? If you suspect one, you may try inspecting your home. The first place you may opt to start looking is at the bed. These blood-sucking insects will start building their home base near to the source of their food and spread out as their population increases, so you may begin inspecting for their presence at the bed.